LOCATION LOCATION LOCATION! Immaculate 2 Family Brick Detached in the heart of Pelham Parkway Proper! This newly renovated and Immaculate 2 family detached home offers only the best master quality renovations from floor to ceiling. 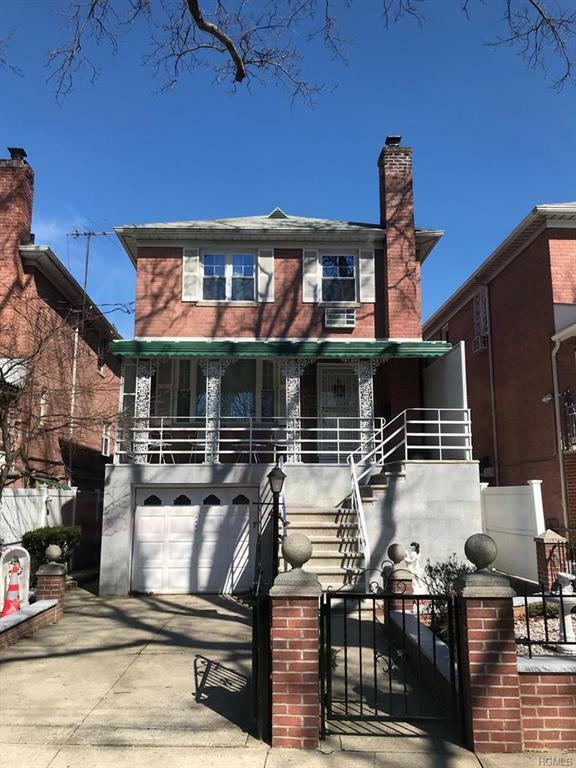 This beautiful Home absorbs Southern exposure overlooking the parade grounds of Pelham Parkway Green! It exudes a large 3 bedroom duplex with Custom Kitchen & 3 Bathrooms with hardwood floors throughout the home. The Walk-in garden apartment has a beautiful 3 room -1 bedroom set up with a large master bedroom. In Addition a large 1 car garage and beautiful backyard for entertaining! This gorgeous Home is a must see and centrally located to All!